We all know that the cost of housing in San Francisco has skyrocketed in recent years resulting in a shortage of affordable rental housing. What you may not know is that these market forces have also resulted in a startling increase in the number of tenants facing eviction. In far too many cases, landlords are using wrongful evictions to chase out existing tenants, particularly lower-income renters, and profit from rising prices. Our San Francisco wrongful eviction lawyer helps tenants who have been illegally pushed out of their housing or otherwise harassed by a landlord in violation of city and/or state laws. This week, the Peninsula Press, an award-winning project of the Stanford Journalism Program, published a fascinating (and upsetting) look at eviction notices in San Francisco. According to their data, eviction notices have increased 60% since 2011, a major concern in a city where two-thirds of the population lives in rental housing. In 2011, nearly six tenants a day received eviction notices for a total of 2,080 notices served last year. Notably, the Mission, Sunset, South of Market, and Tenderloin neighb orhoods accounted for over a quarter of the eviction notices served in the past six years. These numbers only count notices, not actual evictions, but it is also important to remember that one eviction may leave a whole family homeless. What is the reason for these notices? Not surprisingly, as the article indicates, there’s disagreement between landlords and tenants as to why tenants are receiving so many eviction notices. Representatives of tenant groups report a surge in cases where a landlord cites a minor excuse to evict a low-income renter and then replace them with higher-income tenants. Tenant groups says market forces and income inequality add to the problem, noting that a landlord may not be able to raise the rent on a long-term tenant due to rent control protections unless the unit is vacated. Landlord groups, on the other hand, suggest most evictions are justified and say the laws in place adequately protect renters. These groups suggest most evictions are due to non-payment, nuisance, or other breach of the lease. Tenants who have been unfairly evicted from their homes have rights and legal recourse. As the article notes, legislation came into effect late last year that helps prevent landlords from using frivolous reasons to evict a tenant. Section 37.9(a) of the San Francisco Rental Ordinance lists the only acceptable reasons for an eviction based on just cause. Landlords must also meet stringent notice requirements detailed in the General Eviction Notice topic page on the San Francisco Rent Board’s webpage. Additionally, Section 37.10B of the San Francisco Rental Ordinance forbids multiple forms of tenant harassment. This means a landlord cannot harass a tenant out of their home. Sadly, there have been many cases — cases not captured in the analysis of eviction notices above — where, instead of serving an eviction notice, the landlord made living in the unit unbearable and forced the tenant to move out. This illegal tenant harassment can amount to a constructive (and illegal) eviction. There are numerous forms that illegal harassment may take including utility shutoffs, improper entry into the unit by the landlord, interference with a tenant’s privacy, and threats or intimidation aimed at forcing the tenant to vacate the property. Keeping detailed records can be extremely helpful for proving harassment. 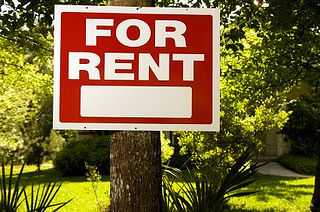 If you have been forced out of your rental property, you may have a legal case. Our San Francisco tenant’s law firm helps people who have been wrongfully evicted and tenants who have been repeatedly harassed by their landlords. Call to learn more. In some cases, tenants who prevail in rental disputes are entitled to recover attorneys’ fees and court costs. What Does “Habitability” Mean in California?